The Mercedes-Benz GL-Class (code name X164) is a full-size crossover SUV built by the German carmaker Mercedes-Benz since 2006. 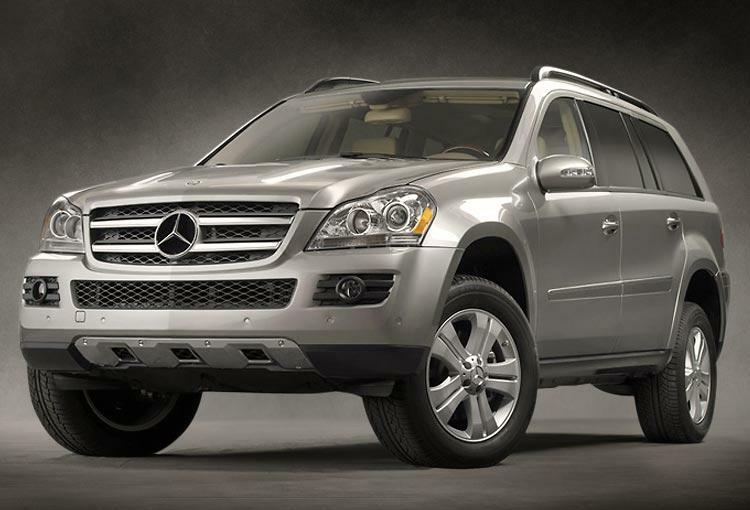 The GL-Class debuted at the 2006 North American International Auto Show. The car was designed for the American market, which is shown by its large size, making it the only similarly-sized rival up against Audi's Q7 by that time. It is the 7-passenger counterpart of the Mercedes-Benz M-Class. Although the car was designed for the US market, it is also sold in Europe, albeit in far fewer numbers. It lacks the typical SUV boxy styling and body-on-frame construction of the G-Class in favor of a modified version of the M-Class's unibody architecture. Many motorists consider it the "Elongated and Wider" version of the recently redesigned M-Class. It is a three-row, 7-passenger SUV with much more luxurious equipment than previous civilian G-Class vehicles. All GL-Class vehicles are assembled at Mercedes-Benz US International, Inc., Tuscaloosa County, Alabama and Mercedes-Benz Mexico, Santiago Tianguistenco, Mexico. The GL class was originally intended to replace the 25-year old G-Class model, however due to public and fan outcries, Mercedes Benz had decided to keep the G-Class in production for the foreseeable future and decided to update it for 2006.